The occasion of best visibility and development of the programmed actions will be the International Mysteries & Drolls Festival which will see its first edition in the spring / summer of 2018. 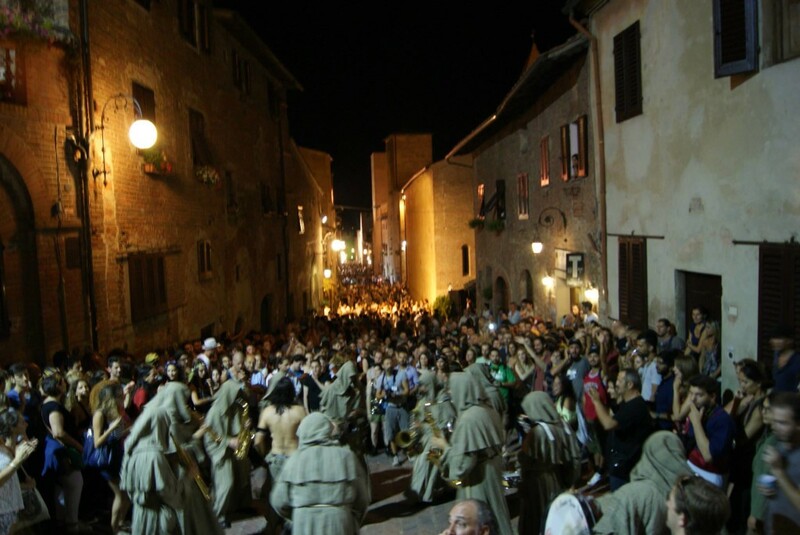 The Festival will be organized in each of the three years of activity, in May and July in the two locations of Certaldo (IT) and Belfast (UK). The poetics of the event will be fully adherent to the general lines of the artistic and philological research that M&D intends to pursue. The programming will be an exemplification of the project in terms of theatrical proposals and performance, and will try to return the European dimension of contemporary forms of expression that appeal to popular drama, the buffoon theatre, or to ones that recall the canons of sacred theatre, through a drama that can be called "ritual" and that relies in particular on symbols and images, rather than on narrative. The visibility of the project can rely on the communication plan of the two big events that host the action. The "Festival of Fools" and "Mercantia" are, as already mentioned several times, two great international events, capable to give an undeniable resonance at M&D, both in their respective countries, or outside of them. Within these two events, the image of the Mysteries & Drolls Festival will be clearly identifiable and traceable to the overall structure of project activities. Together with the Festival, also other activities will be conveyed, both those addressed to the public and those dedicated to the sector. The whole communication will be geared to the promotion of the European identity of the project. The support from the European Commission, through the Education, Audiovisual and Culture Executive Agency, and the Creative Europe program, will be key elements on which will be carefully construct the visibility plan of the project. In the two sections of event in Certaldo and in Belfast, there will be a substantial identity of approach and a common vision in pursuing the artistic program. We will share choices and methods and only one line of communication will be used, even though we will probably need to adjust the image of the project to the different socio-cultural context (e.g. : the Italy of medieval villages, and the northern industrial metropolis). A trait of distinction will instead be the prevalence of comedy shows and performative shows in Belfast (view the concomitance with the Festival of Fools) compared to Certaldo program that will host dramaturgical forms complex in a wider context. In both cases, the venues of performance will be consist of squares, streets and courtyards, although the diversity of these spaces is evident by comparing the two locations. If in Certaldo you definitely can "isolate" the show from the crowd, using the magnificent gorges of the medieval village, in Belfast prevail large and "generalists" spaces where a considerable audience, of all backgrounds and participating with more varied motivations, can be grouped. We intend to emphasize that this "confusion" of motives, intentions, expectations on the part of two publics, constitutes for the theatre of M&D an ideal environment in which to grasp its Audience Development challenge. The program will have an international dimension, marked by the movement of the artistic staff and companies from all countries of the continent able to offer interesting productions and with modest stage requirements (given the environment and the difficulties of the journey), having clear popular inspiration. The shows from the countries of the partnership will be preferred. 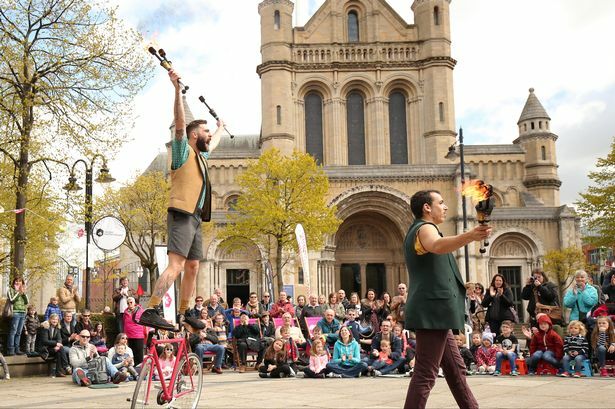 The Mysteries & Drolls Belfast Festival will run for 4 days. Indeed, the next section of Certaldo last up to 5 days.